Looking to make, maintain and correct issues with your locs? Look no further; these are the perfect easy to use tools for correcting bumps in locs, reinserting loose hairs, attach extensions, broken locs and repair weak spots. The triple needle reducing the amount of time it takes to use work the locs. 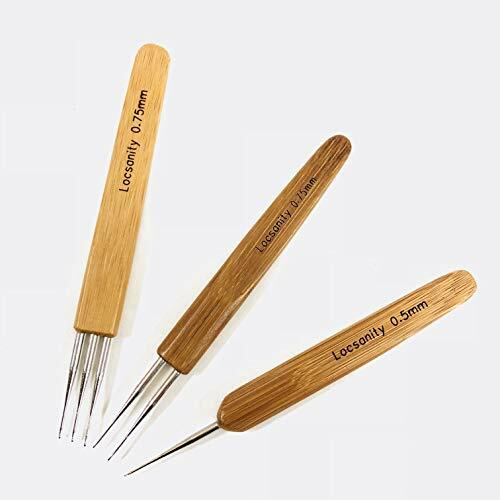 Triple Tool = 1/3 the Time Custom designed for dreadlocks maintenance and crochet dreads Soft touch handle, made with bamboo. If you have any questions about this product by Locsanity, contact us by completing and submitting the form below. If you are looking for a specif part number, please include it with your message.